Flow is a Task Managemet Software for manager to makes it easy to delegate tasks, prioritize to do lists, and make sure nothing gets missed. "Flow is an excellent solutions that helps our workplace to manage all our projects and tasks." I like the way we tried this software for free during the unitial setup because it had a free trial version of 15day. This software allows team members to work from anywhere be it mobile or desktops platforms. It's easy to track time used to carry out any project thus hitting our budget is easy with Flow. It integrates seamlessly with other systems that we uses in our organizations like Box,Slack,Dropbox and Google drive thus easy to share findings and files among team members on any projects. It's easy to monitor and manage all projects carried out by team members with Flow. This software has an easy to use users interface. I haven't found any fault while using this software because its designed to be user friendly thus easy to plan projects and carry out tasks easily. I would urge them to try this software because it will keep all their projects flowing easily thus achieving more productivity. Team task tracking is possible with Flow. Easy to manage projects carried out by team members. "Still the best designed platform around"
Flow is constantly under development, is fast, and is full of tiny details that show how much thought the developers put into it. Each visual iteration is more gorgeous than the next, and it's extremely rare that I struggle to find what I need or fight with the software. Flow is made by some of the best UI folks in the world for a reason. The Projects section in their newest design feels a little constrained. I can see the potential for a Kanban-style overview, but miss being able to quickly jump around in the sidebar when organizing multiple projects at once. Further, the Timelines and Calendar features are accessible both in their own main heading and in a separate section called Agenda under tasks. The workflow here feels convoluted and left over from the last version. Be clear about what your workflow is going to be and how that might fight into Flow. It can actually do a lot under the hood, but that isn't going to seem obvious (generally a good thing), and you'll have to know up front how you want to leverage its features. For instance, Gantt planning isn't properly there, but Timelines probably suffices for most. I mostly use Flow for personal projects, and it's always been a reliable go-to for that purpose, even if you do miss out on the team features. It keeps me organized and can handle everything I'll ever need to track. The visual design, especially the timeline, workload, and catch up view, are beautiful stunning and very easy to understand. That's what actually drew me to Flow in the first place. I loved how easy everything was to see and understand. Also the support team is very helpful and responsive. Use Asana, Roadmap, or ClickUp. If they get some of these kinks worked out then maybe it'll be worth your time. We were attempting to really streamline and accelerate our project management. "Great software ideal for managing team work"
I like it because it allows you to track the progress of business projects and plan ahead. Your user panel is very interactive and modern and very easy to use, it can be used to plan any type of project, that is, it does not matter in which area Focus your company, and the best thing is that it always keeps you up to date with your to-do list. Unlike other software that limits the use of the company's approach, Flow has no limits as to the type of company or professional that uses it, so we have not found anything that we dislike works very well and is extremely flexible for work teams. With Flow we can manage our projects in a very simple and organized way because it always keeps us up to date with what we have advanced and what we have to do, who are busy and who do not stop being able to assign tasks to those users and thus be able to advance a lot faster in the development of our applications and the best thing is that it contains time lines that allow us to visualize the tasks and deadlines of the same and in case of having any change we will all be informed so there is nothing that we can go unnoticed . "Flow is an amazing task management software that every business organizations needs to deploy." Flow allows us to plan projects properly, prioritize to-dos,delegate tasks and stay up to date on anything happening within and outside our organization.This software is very intuitive and eye's appealing to use.This software is very flexible thus accessibilty on multiple platform is easy.The customer support given is of high class thus getting instant feedbacks. Haven't found any drawback so far while using this software because it has been very pivotal in task management and I love how its easy to use it. This software is the best for managing tasks and for proper following up of any tasks or project hence it's worth recommendations. The ease of tracking and organizing projects with flow helps keep everyone on task and projects moving smoothly. "Recently updated with a new look and better UI"
Flow was recently updated, it now has easy to select options to switch between a list view, kanban and calendar modes. The project drag+drop interface has been much improved over their previous offering. All the issues I had with it (and reasons I previously went with Leankit) have more or less disappeared. Huzzah! It's much more intuitive than it used to be but the interface could be smoother still - some of the animations are lacking. Still no support for sprints!! There is a small issue with printing out weekly task reports: On the interface they actually highlight things according to due date/priority. Sadly this doesn't come out when you print!! Arg! Project management was previously handled by leankit, we'd looked at Atlassians JIRA but this was more cost effective. "Robust feature set and love the new redesign"
The dragging feature is not very responsive and I frequently have trouble reorganizing tasks by dragging, often accidentally dropping sub tasks in the wrong place. Notifications are not tailored enough to filter out what’s truly important and I often lose track of the notes I need to read within my catch-up feed. Highly recommend as a robust and flexible project management tool that can accommodate many different workflows and team needs. Great for keeping track of project timelines and assigning responsibility for deliverables. Flow has been invaluable to keeping track of project flows, notifyig my team members regarding available deliverables, and having clear views of project roadmaps, upcoming features, and deadlines. I rely heavily on Flow to prioritize my design work on a daily basis and stay organized as far as timelines and outstanding tasks.
" Flow: Administration of projects, resources and tasks with all your work team. " I like this software because it offers a variety of use options in which you can organize tasks, projects, resources and track how much the projects have progressed, who is involved in it and, if not, establish a task for those who they still digress what facilitates their work and the best thing is that you can do from checklists to Kanban tables. It offers accessible prices according to the needs of each work team. I have not found anything that is not to my liking since I have only been successful with this Software. It is a very flexible software that is easy to use and capable of organizing any type of work equipment. Software that allows me to manage my projects together with my colleagues, keeping track of their progress in days, weeks or months, which facilitates my work. I like that this software is very perfect as it works even when you are away from the office. It works from anywhere and so my team and I can work on our projects easily. It is a very simple software to use. It does not have hard configuration and it is very easy and fast to download and setup. This software is accepted by so many operating systems and so van be setup in any depending on your preference. Flow is a perfect software that works as expected so I cannot complain about it. Flow is a very reliable software for it works from anywhere and is used especially when you have a project. Using this software you can easily manage and organize your projects. "Flow : effective tool for labor collaboration and task management"
I like it because it goes beyond a simple ideal tool for the management of tasks or business projects since it allows labor collaboration, it is very easy and intuitive, users can upload or download files, as well as carry out assignments of projects to a team or individual and keep track of how advanced each of them is and the best thing is that if you need to keep someone out of the team updated on a particular project, you can assign them a notification status in which they can be seen only for this. It is recommended that each user make copies of their Flow account since if there is any failure in the platform they will have a backup of the records of their activities. Flow is so simple but very useful to manage all types of projects, which is why I recommend it to increase the group work flow. This software is very suitable for our company because it allows us to take a better organization on the projects or tasks to which we must prioritize them because their deliveries are short term, so we do not get involved with any client and at the same time we keep our data safe and secure. each client informed about the work of our team what is important since it creates confidence and tranquility in both parties. "A software for team collaboration and working"
I like that this software is very easy and fast to install and very simple to configure. Flow is also a software that is easy to integrate with other softwares such as Dropbox and slack. This software works from anywhere so this means that I do not have to go the office sovthat I can do what I wanted. Also Flow makes it easier to track time that I use when carrying out a project. This software works just as it should hence I do not have any dislike towards it. This software is very good for project management and ensuring that the team works so well and therefore I highly encourage its use. Ease of managing and organizing projects. Tracking projects easprcially the time spent. "Switched to Flow from Basecamp, so far so good"
The biggest thing that brought us to Flow is the hierarchy of tasks. We love how you can have an overarching task and then break it down further by subtasks. Also love the Private tasks and the Catch Up features. -When you click to Flow through an email notification, it opens the web version vs the app. Not sure if there's a way to change this? Definitely try out the trial, and make sure everyone's email notifications are working properly. Project management, deadline management, and internal communication. "A great project management tool"
I've worked with a lot of project management apps and tools (Trello, Basecamp, etc..) but Flow tops them all for it's simplicity yet robust functionality. It's easy to understand and gets things done. There are still a few bugs and glitches, in particular, it's very difficult to copy and paste out of task description. Also, I would like to see more functionality in duplicating sections, not just projects, for recurring projects that contain more than one task. Flow is great because it's versatile. If you're a Trello fan, it also allows you to create Kahban boards that are very similar. It does integrate with Slack and Google Calendar, but probably doesn't have as many integrations as other project management tools. We use this tool with 20-30 people and it works very well. You do have to commit to using it exclusively for project assignment (as opposed to e-mail) in order to get the full benefit out of this software. I don't know if there is a free trial, but I would definitely encourage you to try a demo with the Flow staff to see if this would meet your company's requirements. The main business problem is coordinating hundreds of marketing tasks and projects happening weekly across multiple brand and campaigns. Flow has allowed us to keep everything organized, and on time, while helping to gauge bandwidth to allocate projects in an effective and efficient manner. "Don't go with the Flow"
This tool may help bring people on the same page and may help users focus on a timeline, but overall, I believe there are many slight tweaks required for the user experience to be where it needs to. Flow allows me to wrangle people from many different departments to focus on one task. Flow has helped my company to create and automate workflows and task across multiple services, its also cloud based therefore easy to access. Its the easiest way to manage project,track tasks and also to balance workflow. The only downside my company has experienced is on poor user interface, its easy to get lost especially when you are a new user. Also it does not promote color codes. Flow software is the most important factor to consider when trying to began entire team on board. Therefore I highly recommend flow. Flow saves time, which in my opinion is the most benefit there is,it allows me to focus on what am good at. "Flow is a project management game changer"
Project management is much more under control since we started using flow. Flow is the first (and only) task management application that I've ever had teams actually use (and like). It's extremely simple, well-organized and packs just enough punch to get the job done without bloat or a visually distracting interface. It works on all platforms, has great support and is always improving. It would be neat to be able to map tasks/activities visually (Gantt). Use it. It's seriously great. It's worth thinking about where it will fit in with your existing tools, however. Flow supports file uploads and often it's very helpful to have files associated with comments/tasks. But, if you choose to do this, make sure it's agreed upon amongst the team. Without that policy in place, you'll have some files in Flow, some in Dropbox, some in Drive, etc. Flow makes it easy to delegate tasks to anyone and track their progress over time. For example, I can assign a task to Tom (UX Designer). He can chime in and then delegate the task to Sarah (Visual Designer). She can chime in and delegate it to Caitlin (Information Architect). All of this happens in the same thread and all comments/files/date changes/etc. are very easy to follow. Flow is the best tool I've found to see who's working on what, when it will be done and what's happening with it at any given moment. Flow recently had an update and the project section became a little more difficult to navigate and the exporting of tasks was also more hidden and not available at all levels of projects. Don't over complicate the project and to be sure all users understand the importance of a task/project manager. Being able to clearly see due dates and everyone's tasks with the ability to chat within and @ members in regards to specific tasks. Also, being able to upload any specific assets to a task and being able to look at the history and easily find those assets per project. We use Flow for a task manager and reminder for recurring tasks. So far it's been fast to learn and easy to use. It has a simple interface with just the essentials. It makes it easy for us to remember to follow up and lets each team member see which tasks are currently being worked on. The phone app is one of the best I've seen, you can do every task on it quickly. It would be nice if we could integrate flow with our help-desk tool SAManage, they complement each other well. The dashboard could be improved a bit, it's almost too simple. There is a free trial, try it out. Try the phone app. If you have a simple need, this is the tool. If you want more functionality, this might not be it. We are a small team who collaborates with superusers in Europe, US and Asia. We needed a simple tool with a fast learning curve, to make sure everyone could keep track of which tasks were being worked on and when. "Part of our daily work routine"
For our small team, flow has been an invaluable tool for organizing and prioritizing tasks. I use flow daily to keep on track of my tasks, and the smartphone app is extremely easy and intuitive to use. You can tag and comment on various tasks, and set them to repeat. Being able to communicate with your coworkers is extremely useful. The chat function, while welcome, feels disjointed. It would be nice if it complemented the tasks better. It would be really great if we could use it together with our helpdesk software. Perhaps do some automation between it and Flow. Use the app. It's incredibly satisfying and easy to add or tick off tasks in it. Also make sure to customize the reporting function. The daily report is a great start on the day, reminding you what is pending. We needed a simple tool to keep track of our tasks and ensure everything was done in a timely manner. Flow is excellent for a team to manage reoccurring tasks. The UI is intuitive and easy to use. It does what it does excellent. The mobile interface is really slim and intuitive, allowing your users to quickly check and input tasks on the go. As a manager, flow lets me quickly get an overview of pending tasks and whether my employees have completed recurring tasks. It also easily lets me reassign tasks to other employees in case of sickness. Flow is a little light. It does task management very well, but the communication features are a bit clunky. It'd be better if it could integrate slack or another more well developed tool. Integrations with our helpdesk tool would also be a great benefit, as we currently have to run it independently. If your just need easy task management. Flow is excellent. It does it fast and easy, and the mobile interface makes it so you can do it on the go. However that is really all it does. So make sure you have your needs clarified before trying it. Our company suffers from access to too many productivity tools and too little coordination driving them. Many of these tools will be feature heavy and specialized in different directions. We needed a tool that let managers assign tasks, and follow up if they were completed, nothing less and nothing more. Flow allowed us to do that with little user education. Its the best Project and task management software to be used within the teams, Its very flexible and easy to use software. helps in collaborating work and teams.from technical perspective it helps in integrations and APIs. great tool for resource management also. Its little expensive and when used in bigger teams it confuses the team members.integrating various APIs, is a problem as it doesn't support all environment and support for it is little time consuming. It greatly helps in marketing management and creative ideas building with in the team., can manage finance, marketing and sales team at single point. Project Management, Team management, Resource Management, Integrations and APIs list, application management,marketing expenses management . "Awesome tool for project managers. " I love how intuitive the software is. This is my go to tool to help me with managing projects across departments. This helps me organize work, manage deadlines, and communicate to stakeholders. All of this is done in an attractive and easy to use format. I would like to see greater integrating with outside software. The software, like any, can be a difficult culture change to adopt. I am using flow on my own. This is not an organization wide effort. That would be much more beneficial. Breaking down barriers within the organization and managing my projects more efficiently. "The simplest task manager and team communication tool"
Take advantage of their free trial and see how easy it is to use Flow! If you have trouble with the software, the support team is great! "Project Management keep Flowing with Flow for 24/7/12"
As Team Lead Manager, it is my responsibility to ensure that project and task management ia at top notch. That is why I decided to implement Flow. Flow has simple deployment architecture that does not require intervention of tgird party consultants. Flow is offered at a favorable cost estimation unlike other project management platforms. I have totally nothing that I dislike about Flow. Yes, but it is wise to know its capabilities before deploying it. The visual interface of Flow is clean and intuitive. It is ideal for handling tasks, has the essential characteristics to progress quickly in the execution of any project. It is easy to organize tasks by categories, add notes in the calendar, and view project status at a glance. I cannot say anything negative because it's a really useful software. Suitable for any work team. It helps us to be more efficient and productive, it is a great tool to manage projects seamlessly. This is a full feature tool, you can make and assign task, create subtask, tag the task and add date limit to the task. You have the full control of your team. Getting thins done and how. We need to deliver things at specific day so I assign task to specific people and gain my target. 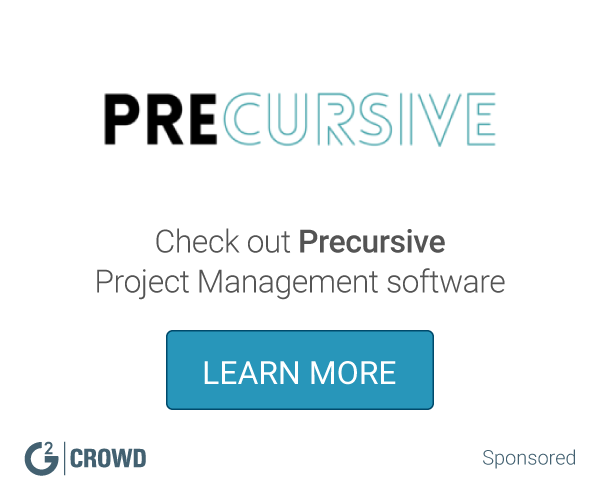 "Best Project Management Tool for Companies! " With Flow, every project we have in my company now is very well organized. I thing it lacks some colors for better visual representation. I would like to label my cards with a few colors. For example, when a card represents a BUG, it would be cool if I could make it red. If you are considering it for your company, go for it! It's a great tool! Flow makes it easier to see the big picture of the company as well. It's easy to follow what's going on. Love the organization aspect of Flow, where multiple users can collaborate on projects, update each other, and push a project to its goal all in one product. Specifically, I do hate that once I complete a task and clear it out, I lose the information on where it previously lived. We have replaced multiple products with Flow, including Trello and JIRA. Collaboration among teams has improved with Flow. "Easy to use, good for small companies/teams"
"Very useful tool for keeping track of my day"
It's very simple to use in Windows, MacOS, and iOS simultaneously as I'm on the go during the day. It's perhaps too simplistic at times, and integration with a Google Calendar to provide alerts on tasks would be nice. Jump in and start using it right away. Like most software, you probably won't use all the features, but that would be a big mistake. Using it to assign tasks (or receive assignments) from other team members is a huge plus. Tracking tasks that I don't have time to deal with right away. It lets me quickly jot down a note for the task and make sure that I don't forget about it when I have the time to deal with it. Fast, reliable collaborative tool that can be access anywhere. It was made easier with team sharing and multiple team sharing function. It takes a while to get used to the functions and capabilities of the software. I have to say, it has better functions and accessibility than famous products such as SharePoint etc. In time, Flow can become the go-to collaborative software for most organization. Collaboration with multiple team members and across organization as a whole. "Great for informal and formal work flows"
Very simple to use and seems to have the balance of simplicity and functionality. Great to have a central dashboard with content of all project. I've used tools such as trello but this goes one step further. The user interface can be a little confusing with comments, change logs and sub tasks but not anything that would put me off. Central resource tool between the team for project and conversations. "A Team Communicator Tool for Everyone"
There are very few things to dislike about Flow! "Flow - A more advanced Asana application"
I don't know enough yet to have any complaints. I really think it is an improvement when compared to other services like Asana. It helps with organizational practices in the workplace tremendously. Easy to use from my smartphone or tablet and helps me to keep track of my tasks without having to worry. Easy to manage my day to day tasks. "Highly recommended for a well-trained team"
Very easy to delegate tasks and stay updated with what coworkers are doing. Also, the terrific GUI makes figuring out what I need to do simple, both in terms of big picture and details. Without training some aspects of UI can be confusing, namely how to use discussions and using multiple tabs. Train team on how to use before rolling out. Mostly for division of labor and setting up teams in the marketing department. It's more or less an alternative to daily meetings, email chains, and documents. Love that you can assign and see all tasks clearly. You can also switch between teams, and see tasks laid out in list or calendar form. Wish the iPhone app was better. It glitches from time to time. Oftentimes old tasks show up, instead of current ones, in the app. Also, sometimes it doesn't save when you try to create new tasks in the app. Keeps my team organized, while allowing me to delegate and organize activities - on a daily, weekly, monthly and yearly basis. Flow is a great app that allows you to manage multiple projects, teams and tasks efficiently . It is super user friendly and offers a variety of solutions. So far there isn't anything that im dissatisfied with. The app is pretty straight forward . Organization, productivity, efficiency , staff understanding their roles and responsibilities individually. "Flow is great for management of multiple projects across lots of sites "
The dashboard and conversations are invaluable to managing a lot of projects over a wide service area with employees in many locations, user friendly for a wide range of staff at multiple levels of tech savvyness. I loved the organization of tasks in Flow. It made everything so easy to follow and keep up with different projects at the same time. I really enjoyed Flow! Wasn't too much I didn't like about Flow. Very fun, and easy to use. Use Flow for all projects! We love it! Flow provides and easy way to stay in touch and on top of tasks for your team. I love it! "Great Resource for Multiple Users"
This program is easy to use and works well with multiple users. Late task notifications help keep your team on track and while dates can be changed they are trackable, giving a realistic idea of progress. Font options are limited as we use product to cut and paste into address labels. Flow is fairly user friendly and speeds up my workflow. The template building is hard to work with. It helps our data matching and ordering work so much more quickly! "Flow is quite user-friendly. Its simple and uncluttered design is refreshing "
Although it's user friendly...I don't think it will work out for me. Flow does not offer higher-level project management tools (like reporting charts or budgeting features). Very user friendly at a great base level for their pricing. "LOVE Flow - you don't know you need it until you have it"
Being able to set up processes that trigger each other based on my emails. Time management is wonderful, I don't have to stop what I am doing to process each email. It just does it itself. * We monitor all Flow reviews to prevent fraudulent reviews and keep review quality high. We do not post reviews by company employees or direct competitors. Validated reviews require the user to submit a screenshot of the product containing their user ID, in order to verify a user is an actual user of the product. Hi there! Are you looking to implement a solution like Flow?